Pay attention to the window warranty. Some of the most expensive replacement windows only carry a 20-year warranty on window glass. Use NFRC ratings to assess anticipated energy performance. Don’t give the window replacement job to the lowest bidder. Make sure to hire an experienced installer with a good reputation. Replacement windows are a big business. Otherwise, you wouldn’t have hundreds of companies manufacturing these windows and even more contractors advertising their services as replacement window installers. 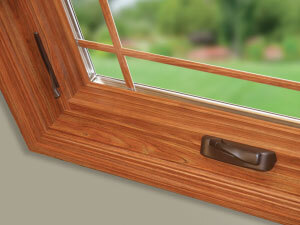 Research done by Consumer Reports on replacement window cost revealed a surprisingly broad price range. Depending on the contractor and the brand of windows installed, the cost of replacement windows for an average-size house can run between $7,000 and $20,000. How can there be such a vast price range? What does a homeowner need to know in order to get the best value in replacement windows? The 5 factors explained below will help you understand what determines the cost of replacement windows. For more useful information on choosing replacement windows, contact your local Dr. Energy Saver and schedule a home energy audit or estimate! Better than wood. This casement replacement window from Sunrise Windows has a maintenance-free vinyl frame finished with simulated wood grain. More windows = more cost. The first rule is the easiest to grasp. The more windows you have, the more you can expect to pay for a whole-house replacement window project. Expect to pay more for “big-name” windows. Major replacement window manufacturers like Anderson, Pella and Marvin spend more money on advertising and marketing than smaller manufacturers do. So they recover some of these expenses by charging more for their products. Although these major players in the replacement window market produce quality products, their window warranties aren’t any better than those of lesser manufacturers. Bays and bows are more expensive. Standard replacement windows like double-hung or casement units will be less expensive than larger, more complex windows such as bay windows and bow windows. These larger window units are more costly to manufacturer, and more complicated for the contractor to replace. As a cost-saving measure, some homeowners elect to replace all of their standard windows, and leave existing bow and bay window units in place. You get what you pay for. Steer clear of bargain-priced replacement windows. These windows are likely to be vinyl, with noticeably wider frames that reduce the window’s glazed (glass) area. Narrower frames look better and are usually indicative of higher-quality material and more exacting manufacturing techniques. Paying a little more can give you access to style choices like maintenance-free vinyl windows with simulated wood grain – a big step up from the basic white window frame. Well-trained installers are worth the extra expense. A skilled professional crew from Dr. Energy Saver will take extra steps to protect your home interior as old window sash are removed and new replacement windows are unpacked and installed. A quality-conscious contractor will also take care to insulate correctly around each replacement window unit and finish off the job with nice-looking trim. It’s worth it to pay a little extra for this high level of craftsmanship. No matter what your budget may be, Dr. Energy Saver can help you find the perfect window to fit your home's comfort, beauty, and energy efficiency needs. Find your local dealer today to get started!